The lush and timeless beauty of the Blue Ridge Mountains has appealed to movie producers and location scouts for the last 90 years. In fact, North Carolina has more sound stages and production complexes than any other state outside of California. Many of the movies shot in Western North Carolina were filmed on public lands, and can be explored by hiking, mountain biking, and paddling. Unlike Hollywood studio tours, visiting these wild and remote locations requires no tickets or tour guides–but packing a box of sour patch kids is always a good idea. The deep and placid waters of Lake Fontana lie on the southern border of the Great Smoky Mountain National Park. 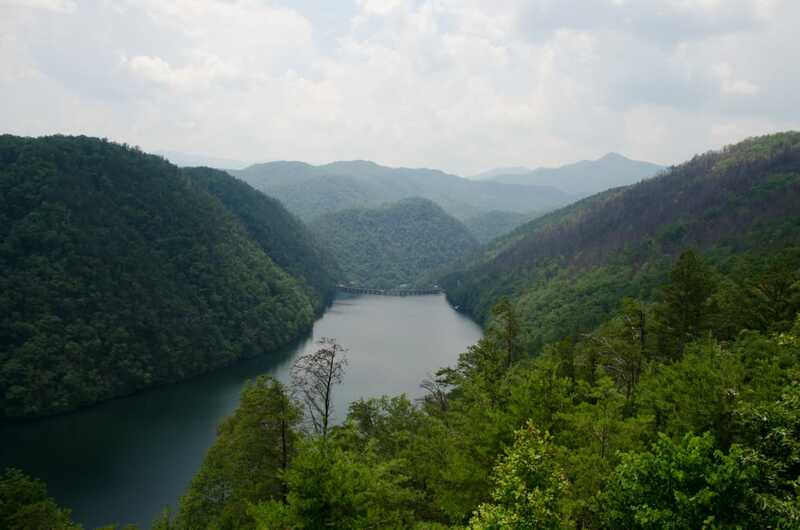 This reservoir and the surrounding forest was the location for the 1998 drama Nell , staring Jodi Foster as a feral young woman raised in isolation in rural North Carolina. Much like the haunted and beautiful Nell, the landscape itself feels wild and secretive. The winding, seventeen mile lake is filled with hidden coves and tiny islands that provide a beautiful day of exploration by kayak or paddleboard. A motor boat ride can deliver you to the Hazel Creek Trailhead, one of the most remote areas in the Smoky Mountains National park. Fishing is another popular activity on Lake Fontana. Because of its frigid temperature, the emerald waters are home to a number of species of fish more typical to Northern lakes. One of the best ways to explore the area is to ride trails of Tsali, etched into the steep hillside that borders the lake. Two pairs of looping trails are open to mountain bikers on alternating days throughout the week. Rolling, smooth, and zippy, this flowing singletrack is guaranteed to unleash your inner wild child. 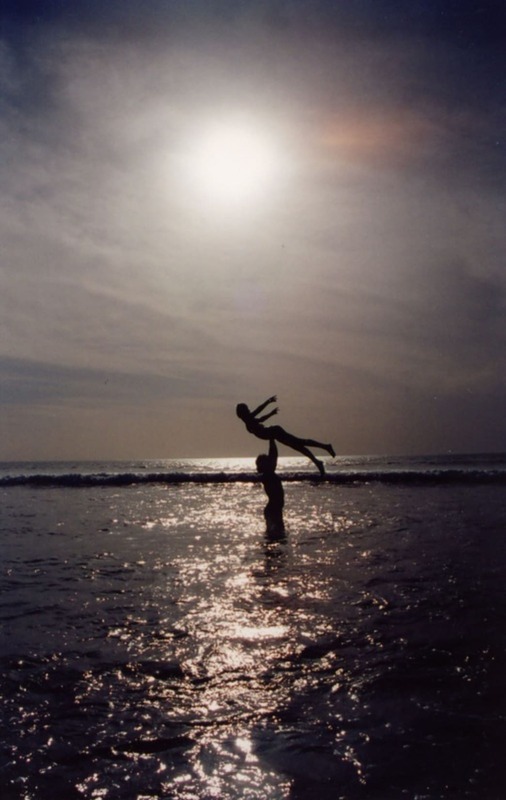 A recreation of the iconic ‘dramatic lift’ scene from Dirty Dancing. With its venerated soundtrack and dance moves that started a nation-wide craze, Dirty Dancing is one of the most beloved and enduring cult hits of all time. Everybody knows you don’t put Baby in the corner, but did you know that the movie was filmed on Lake Lure in Rutherford County, in the shadow of Chimney Rock State Park ? All 80’s pop and overwrought romance aside, this is one of the best natural areas to explore in the Southeast. Lake Lure and Chimney Rock are situated in the Hickory Nut Gorge Wilderness, which features hundreds of trail miles winding through one of the most biodiverse regions in the nation. Climbers can have the time of their life, pun intended, by tackling some of the hundreds of high-quality bouldering lines at Rumbling Bald. To cool off, The Beach at Lake Lure offers all types of summer fun, including side by side waterslides that will deposit you right into the lake. Fanatics of the film can attend the weekend-long Dirty Dancing Festival at Lake Lure, where you can participate in such movie-inspired events as ballroom dancing, a watermelon toss, walking tours, and even a “dramatic lift competition” to recreate the iconic dance scene. DuPont State Recreational Forest is an expansive, 10,000-acre tract of wooded land, famous for its abundance of spectacular waterfalls. Many scenes from the 1992 historical epic The Last of the Mohicans were filmed here, as well as portions of the 2012 smash hit The Hunger Games. Both movies are renowned for the eerie and evocative beauty of their natural setting, which you can explore via 80 miles of multi-use trails that zig-zag through the forest. 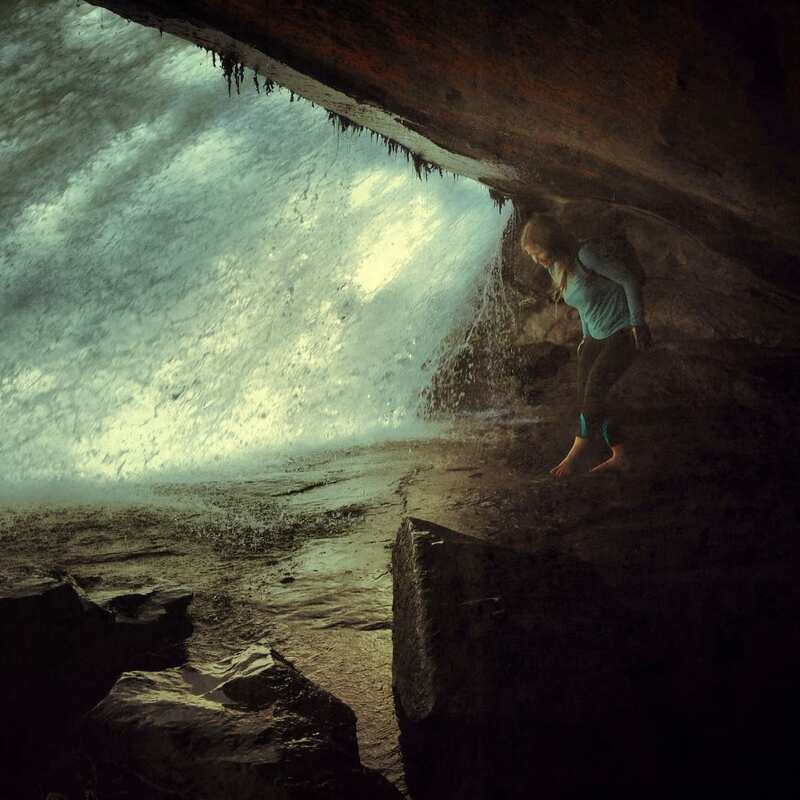 You can relive this impossibly dramatic scene by ducking behind the falls and exploring the cave for yourself. Just don’t try leaping out the way Daniel Day-Lewis did–that famous plunge was shot in a studio. The historical Henry River Mill Village was the location for The Hunger Game ‘s impoverished coal-mining hamlet of District 12. The poorest district in Panem is actually the remains of a tiny textile village in Burke County. The houses are decaying but remain otherwise unaltered, creating a haunting vision of the past, and, if we are to believe the movie, our apocalyptic future. Although the town is now under private ownership, you can see it by driving the Henry River Road off the Hildebran exit on I-40. 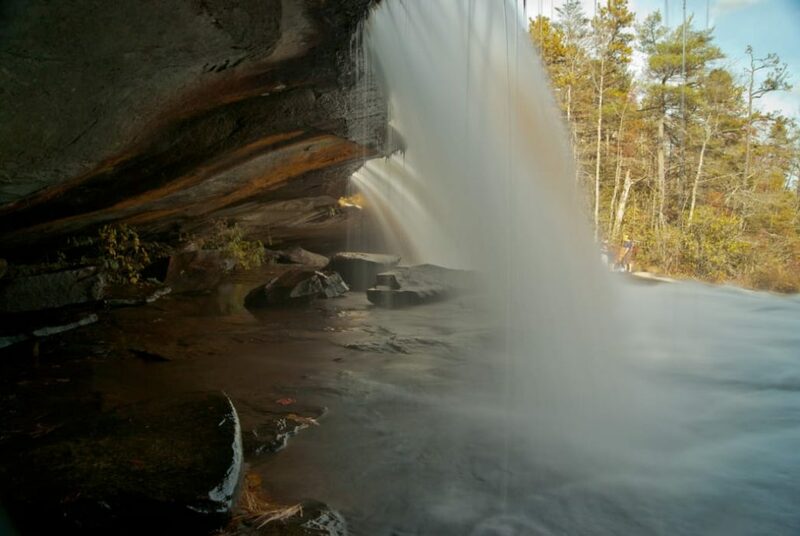 Die-hard fans of the Hunger Games trilogy, and anyone with an interest in the state’s human and industrial history will not want to miss this opportunity, a riveting addition to a day of exploring “The Arena” in DuPont State Forest. The view from the summit of Cold Mountain. In the 2003 epic war drama Cold Mountain, a beleaguered Jude Law journeys home through the Appalachian Mountains after deserting from the Confederate Army. 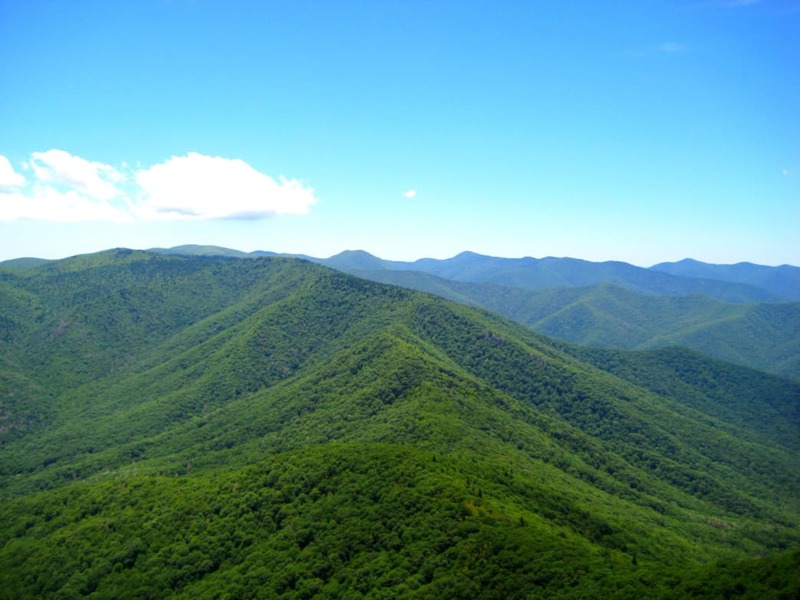 Although it was filmed primarily in Romania with a handful of shots in the American Southeast, you can visit the movie’s namesake mountain, located in the Shining Rock Wilderness in the Pisgah National Forest. Follow an 11-mile (roundtrip) section of the rugged Art Loeb Trail to the summit of Cold Mountain for an all-day epic. This 2,800-foot climb through densely forested wilderness will give you a taste of the ubiquitous challenges that faced W.P Inman on his journey back to Ada. Make sure and bring a map and compass, and, if you’re striving to be authentic to the movie, a small herd of goats. The ornate grounds of the venerable Biltmore Estate has been the setting for an enormous array of movies. Ritchie Ritch, Patch Adams, Forest Gump, The Swan, Being There, Mr. Destiny, and Hannibal are only a few of the films that made use of the anachronistic grandeur of the Biltmore Mansion and the 8,000 acres of sprawling, manicured landscape surrounding it.